Despite a listing on the Las Vegas Convention Center website indicating that BlizzCon 2010 would be held there, Blizzard has confirmed that the convention "will not be held in Las Vegas." "We haven't announced any details regarding our next BlizzCon -- though we can confirm that it will not be held in Las Vegas -- so we recommend everyone refrain from making any BlizzCon-related travel plans at this time." 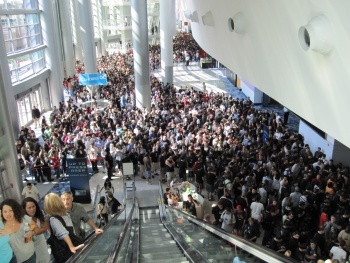 A representative from the LVCVA explained the error to us: "The Las Vegas Convention and Visitors Authority inadvertently listed BlizzCon as coming to the Las Vegas Convention Center for 2010 on our convention calendar. This was simply a clerical error that led to the listing, and we removed the listing as soon as it was brought to our attention. We apologize for any confusion the BlizzCon listing may have caused anyone."